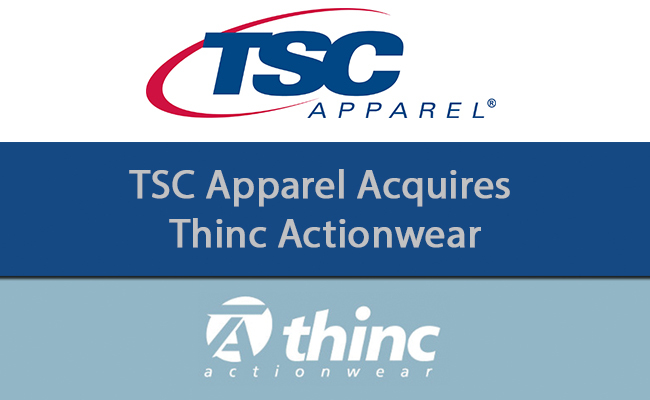 CINCINNATI, OH – May 8, 2018 – FDM4 Client TSC Apparel (“TSC”) further expanded its geographic coverage in the Pacific Northwest with the acquisition of another FDM4 Client Thinc Actionwear (“Thinc”), an apparel wholesaler located in Portland, Oregon. Founded in 1980, Thinc Actionwear is a promotional apparel supplier based in Portland, Oregon. Thinc offers 40 brands of activewear, women’s wear, outerwear, headwear, bags, and children’s apparel to the imprinted apparel industry.